On Friday, September 28, a 7.5 magnitude earthquake hit the Indonesian island of Sulawesi. This earthquake triggered a tsunami, with waves as high as 6 meters (20 feet), causing even more damage. The earthquake, which struck during a beach festival being held in Palu, is the latest of many natural disasters that have affected Indonesia due to its location in the “Ring of Fire” created by multiple volcanoes and fault lines in the Pacific Basin. 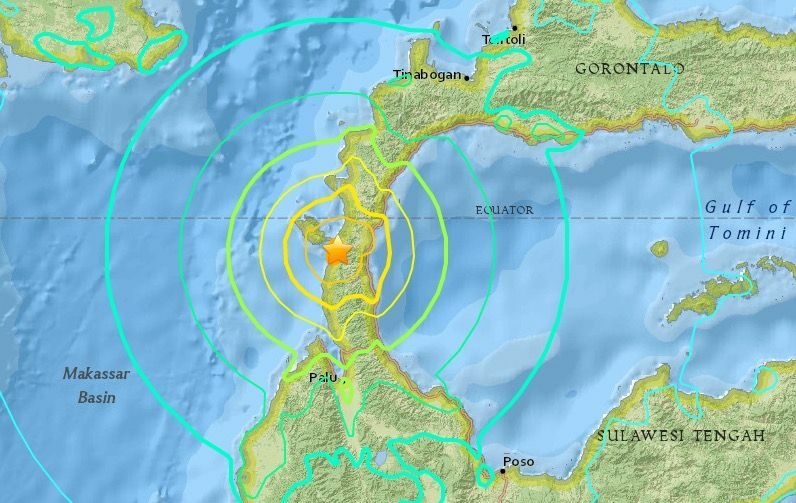 The earthquake may have been caused by sideways movement along the Palu-Koro fault line. The earthquake has destroyed homes, a mosque, a hotel, a shopping center, and a road bridge. The Indonesian Disaster Management Agency estimates that 2.4 million people have been impacted by the earthquake. The Indonesian Doctors Association has asked local authorities for help with necessities such as tents, medicine, medical equipment, and medical personnel. The Indonesian Red Cross is currently providing aid, and Save the Children is sending an assessment team to the area. Residents and aid responders are currently dealing with missing people, looting, lack of clean water, cut off electricity and communications, and roads being damaged and blocked off by landslides. Continue to stay away from damaged areas, because aftershocks are still possible. Pay attention to the latest updates on the earthquake and aftershocks from local emergency personnel and be sure to follow their instructions. Avoid rumors and hoaxes by only listening to information provided by local authorities. If and when you are able to, use social media to mark yourself as safe. If you are able to, fill out questionnaires provided by authorities. This helps them to accurately report the extent of damages. During the coming weeks and months of recovery, make sure to take care of your mental health as well as your physical health. If you need to talk to a trained crisis response volunteer, don’t hesitate to reach out to IMAlive, an anonymous online chat service. Donate blood if you are able to. Even if you don’t live in an affected area, your donation can help hospitals in affected areas to treat patients who are in need of blood transfusions. Check on friends, family, or neighbors in affected areas. Be there to listen to those who are affected, and ask them what you can do to support them. Collect food or monetary donations for food banks in affected areas. Check with them first to see if they have specific requests. If you have specific aid relief organizations that you support, check in with them to see how you can help with their current plans to provide assistance to affected areas. Be patient, be gentle, and be kind. These may seem like simple tasks, but they make a huge difference to everyone you interact with. Our hearts go out to Indonesia, and all those who are affected by this earthquake and tsunami. We urge you to be kind to yourself and to others while coping with the aftermath of this natural disaster.